We love our Pinterest Parties! 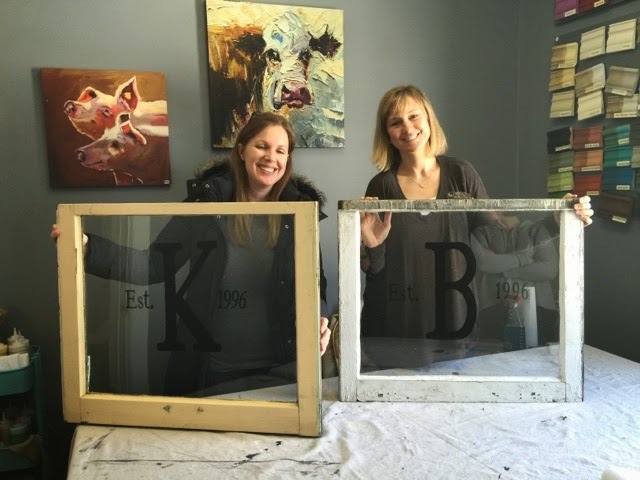 We have been doing them for over a year now and love the challenge of finding new projects! Every Thursday, 6:00-8:00 ladies gather to get their craft on. 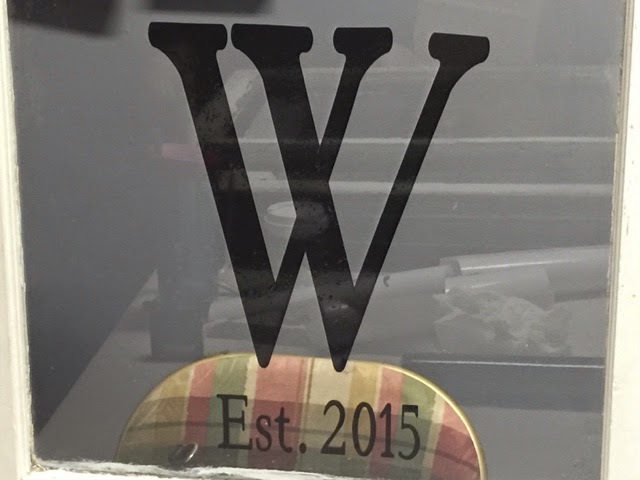 Each week, we change the project and provide all the supplies & instruction needed to leave with a handmade project! 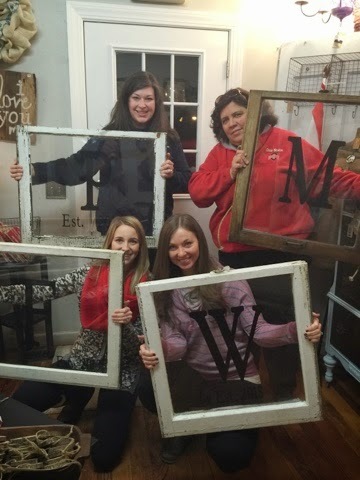 Last week, ladies braved the snow and cold to monogram a rescued window. We gathered again yesterday to create a few more. Hard to photograph, but these are priceless! Our talented friend Kathy never lets us down. We had numerous Pinterest fails to arrive at the best method. 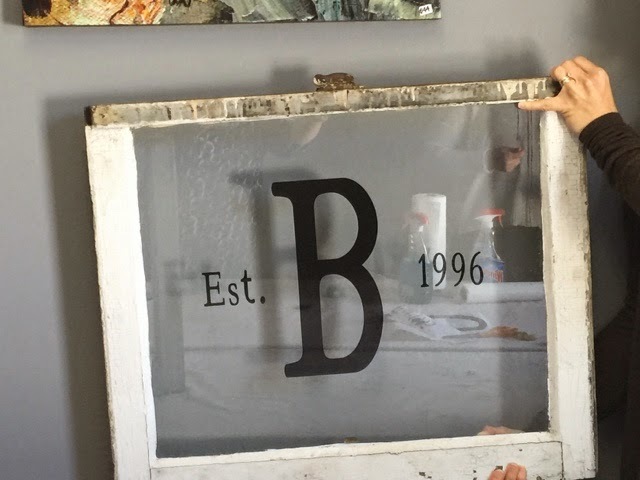 That's the beauty of a Pinterest Party-we figure it out and teach you the tried and best way to complete the project. This Thursday, we are stamping charms and creating a personal Alex & Ani inspired bracelet. 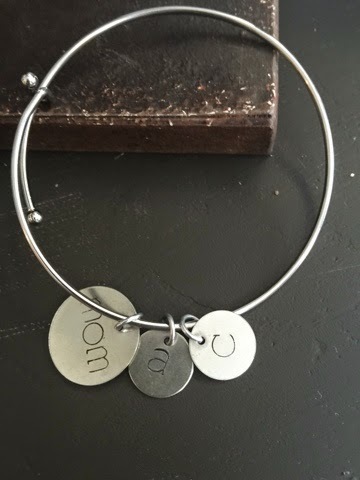 You receive 3 charms and the bracelet for $25. We have added a time, 7:00-8:00. RSVP: vintagerestyled@gmail.com. Ladies can't have all the fun! 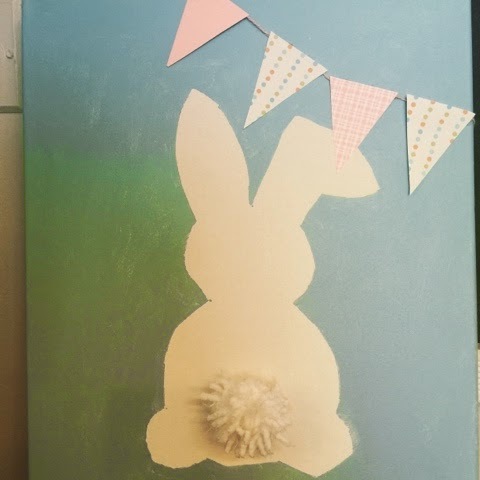 Kids get to get crafty too! Saturday, February 28, Noon-1:30, $30. Saturday, March 21, Noon-1:30, $30.